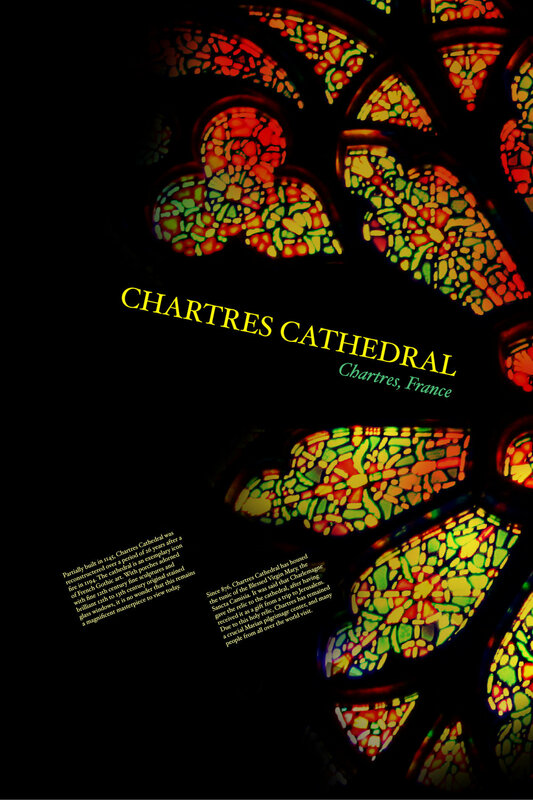 For this project on light and color, I chose to focus on the Chartres Cathedral as my inspiration. 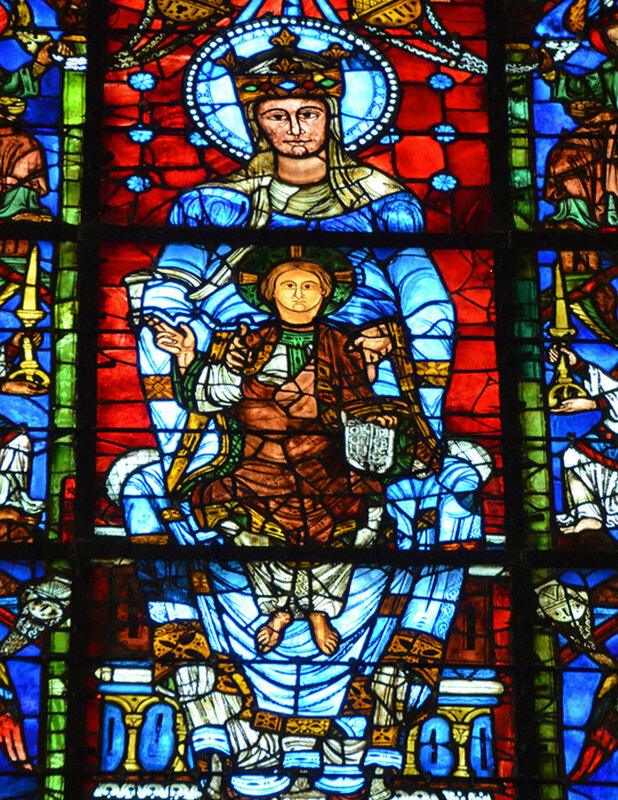 Located in France, the Chartres Cathedral is well-known for its beautiful, well-preserved original stained glass windows. With that in mind, I decided to make a series of posters with the stained glass windows as the main images in my posters.